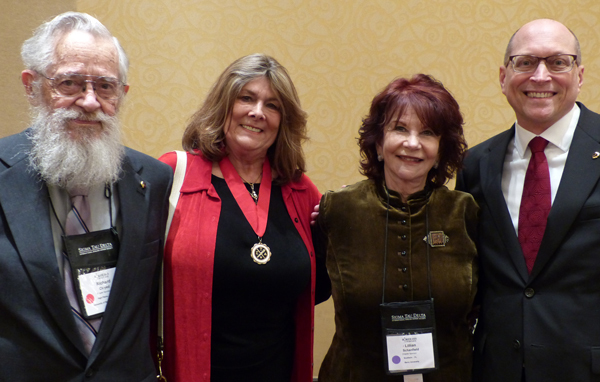 Delta Award recpients Richard Cloyed, Sue Yost Cody, Lillian Schanfield, and Kevin Stemmler at the Sigma Tau Delta 2015 International Convention. The Delta Award is an especially prestigious honor to recognize outstanding service at multiple levels of the Society. Recipients are selected by the Board of Directors and announced at the annual spring convention.